Click here for walkthrough help. 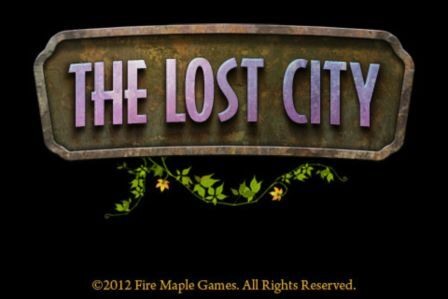 Fire Maple Games, the makers of The Secret of Grisly Manor, recently returned to the point-and-click genre with a much longer and more satisfying game, called The Lost City. Those who were disappointed with the length of the first game may be hesitant to purchase, but there’s no need to be. Here’s why. 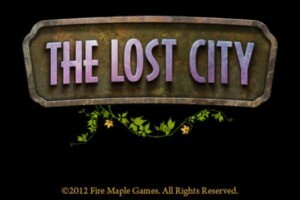 The game mechanics of the Lost City are of your typical room escape or point-and-click adventures games. 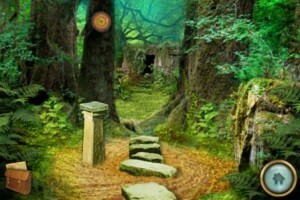 You explore your surrounding, picking up items and uncovering clues to solve puzzles. The touch controls in the Lost City are very responsive and intuitive. If you’re used to point-and-click adventures, you shouldn’t have any trouble jumping right into this game. The game does require a lot of exploring and backtracking. 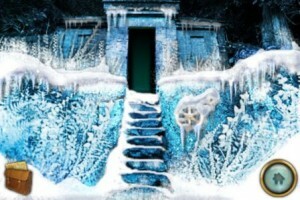 There are many screens to “walk” through, and you’ll even have to change the seasons back and forth for certain puzzles. But the loading times are practically nonexistent, so I found it a pleasure to roam around, looking for clues in the gorgeous outdoor environments. Quick transitions between screens make all the difference in games like this, keeping you from getting frustrated with the exploration process. I really appreciated that Fire Maple Games managed to keep it so smooth without having to sacrifice visual quality. 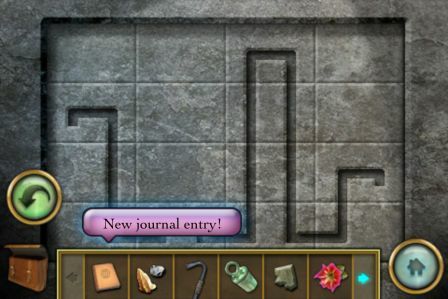 There’s also a journal that marks down clues for you, so you don’t have to memorize them. This, along with an in-game hint system and a map of sorts, should allow even adventure newbies to enjoy the game without too much frustration. One thing that bothered me was the lack of backgrounding/multitask capabilities, so if you leave the app, you’ll have to start from the loading screen. But again, the loading times are so quick that this is only a minor nuisance. There isn’t much of a story here, and you won’t really encounter any characters on your journey. This is a quiet, meditative game that offers more puzzle than story. The scenery in the Lost City is almost photo-realistic. It feels like you’re exploring actual ruins. The changing seasons add another dimension to it, keeping the scenery fresh. The snow and rain never lag and look perfectly natural. playing on my iPhone and it looks great, but it makes me wish I had an iPad! The colors are lush and all the items are crisp and clear. And if you can’t tell what an item is, there are descriptions. The text is also very clear, so you should have an easy time reading it even on a small screen. The music in the Lost City is relaxing and captures the mood of the game, but I found it a bit bland. But it wasn’t irritating, so it didn’t interfere with my enjoyment of the game. The sound effects are done beautifully, from the running water to breaking rocks. They help to bring the whole experience together and make it feel realistic. Like most point-and-click adventure games, you likely won’t play it more than once. The fun is in solving all the puzzles and then moving on. But the Lost City offers a good variety of puzzles and exploration that should give you your money’s worth. While most of the puzzles don’t present a huge challenge, the unique elements such as changing seasons, extend the length of the game considerably. If you’re a room escape fan or point-and-click adventure fan, you’ll want to give the Lost City a try. Quality games in the genre are hard to come by, and this one really delivers. With the seamless gameplay and gorgeous graphics, you won’t want this game to end. In fact, it might seem too short simply because you want more if it. But that shouldn’t keep you from trying this nearly-perfect game. 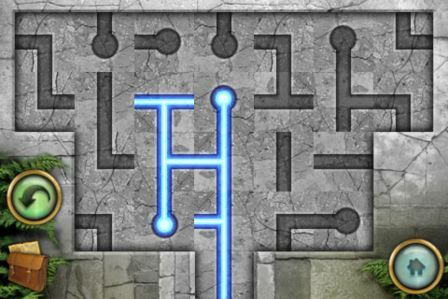 If you love to quietly explore and solve puzzles at your own pace, go download the Lost City right now! If you liked this game, try these other room escape and point-and-click adventures. This game is great! However, I am completely stumped at the part where you dig up the box with the flowers and are supposed to use your golden snake clue to change the colors of the flowers in order to get the crank inside. I can’t open it! The clue doesn’t make any sense to me. I have been trying to figure it out since yesterday and it’s driving me crazy! I love this game and I want to keep playing but I am seriously stuck. HELP! dude that didnt help at all im so confused just tell me how to open the box. were do you get the plug for the ornate spout so you can use the key to the floating box?? help!!!!! 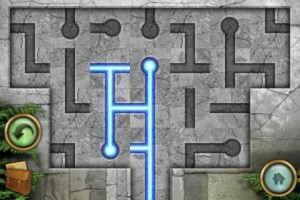 The Lost City has a built-in hint system, but if you need help with a walkthrough, feel free to ask here. I have used the hint system and tried one red, two blue, and three green, in their “designated” (so it would seem, according to the clue) spots. Still nothing. Am I supposed to do something else for it to open?? Oh wait……I think I may have just figured it out…..
I’m stumped too. Do you mind posting a clue? What is it?? I’ve tried everything!! I am new to these games and clearly not as good as others! Luv it but…keep getting stumped.cant find summer or autumn. dont think ive properly finished the winter puzzle and cant seem to move on.i saw a thing that said something must be under here in the snow once but never found it again and musn’t have had the right tool at the time. Any help would be greatly appreciated! Thank you! 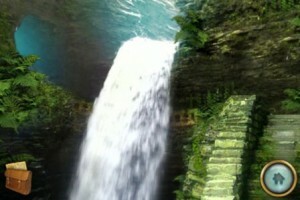 See how you can get past the waterfall. I’m stuck! I used the rusty key to open the floating box… and I got the amber heart stone on screen 22. The hint tells me to pick the spring flower on screen 39 next. There isn’t one there. Try looking at screen 26. Morgy or anyone else… I am stumped at the exact same part… It’s like I draw completely blank. Tried to figure out what color goes where and I know that there are 1 red, 2 blue and 3 green… But it seems not to work! Pleeeeeeaaaaaaseeeee help! I found the red flower really early in the game. Having a hard time remembering where :/. If I think of it, I’ll let you know. Never mind! Found it! Page 26. Where buddy I am still unable to find it? It’s on screen 26, so not sure why you can’t find it. Help,for some strange reason my journal will not open.All of my other inventory will open/ desription of item.When I tap on journal,after openinginventory it just closes.I can not see into the journal or ofcourse get into hints.I have managed to each statue and activate ea j season.It worked time last night but now when finally have time to play I need some help.My map all other inventory opens as should. Help. Sounds like it might be a bug, which I can’t help with. But if you tell me where you’re stuck, maybe I can help you out. I am in winter and I can’t find page 39 to change to summer. What am I missing? Thanks! has somthing importAnt inside but i cant open it because i cant solve the password. please tell me how i beg you!!!! The flowers? I posted it above. the box with 6flowers whats the code cant find it! Tap on the left side of the screen on page 32. How do I get across to the island on screen 20?? I’m not sure what I did wrong in the sun cave. I used the silver bowl to try and illuminate the sun but it is just sitting on the bed of flowers. What am I doing wrong? Change the season to summer. I cant use the rope to get into the well. The hint tells me to us the rope and when I try it says ” That wont work here”. Use it on the branch above the well. Emma, change the season to winter. Then u can just walk across to the island as the water has frozen. How do i douse the fire in scene 19 when plug in on statue’s mouth so i can use charcoal to see unreadable code? hey where do you get the plug from for the ornate spout? It won’t let me go down the well in 6. I have the rope I don’t know what to do.. help please. To douse fire change season and use the well pump. You need to hang the ripe in the branch above the well. I can’t find the blue flower can anybody help???? I posted that info, along with screen caps, in the walkthrough. The plug is in the tree stump in screen 12. That’s odd. I never had that problem. I played through several times and simply took it out of the free stump. The rope is in the treehouse. I can’t get down the well in screen 6, but I’m not sure if it’s a bug or not. Is there anything you definitely need to do to be able to go down? I’ve double checked that I’ve done everything it says to do in the hint guide but it still won’t let me go down – it says that ‘that won’t work here’, ‘maybe you need to try something else’ and ‘that item seems to have no effect’ etc. Can anyone help? Hello, trying to dig up box on page 26 but dont know where to dig. Cant find it anywhere! Thanks if you can help! Did you use the charcoal to get the solution?